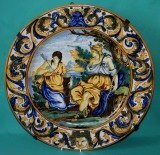 Parian ware is a porcelaneous material with some translucency; it has a creamier tint and matt, silky surface, which does not require a glaze. 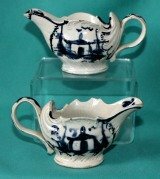 This body should not be confused with the bisque (unglazed) porcelain which is at times porous in comparison, and a little chalky in texture. 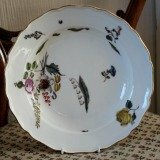 The material was introduced in the early 1840s by Copelaand & Garrett, the partnership that succeeded the Spode firm in 1833. 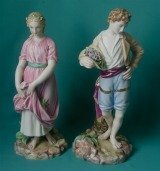 The body was originally termed "Statuary Porcelain", underlining the intention to reproduce in miniature famous sculptures. 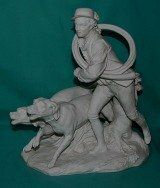 A Large Sevres Parian Figure Group of a young man with French horn and two sporting dogs, late 19th/early 20th century. 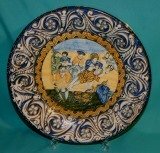 Dimensions: 36 cm high x 34 cm x 24 cm. Condition: part of the horn missing. 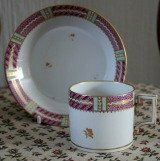 Marks: Impressed "Sevres", incised D and N604. 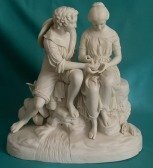 A Copeland Parian group "Paul and Virginia"
A mid 19th century Copeland Parian group, of "Paul and Virginia"* by Cumberworth**, both seated bare footed, examining a nest of chicks which he holds, his straw hat on his back, rounded rectangular base. 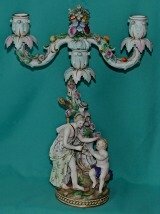 Dimensions: 29 cm. high. Weight: 3.24 kg. Condition: Minor damage. Marks: "Copeland" impressed. 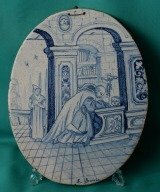 *The subject is from the romance of Bernadine de st. Pierre about the love between two poor fatherless children raised on a tropical island. 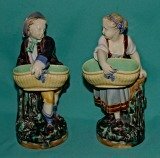 The group was first produced by Copeland & Garret in 1846 making it one of the very first Parian pieces made. 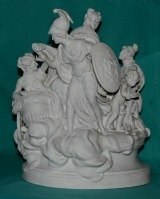 ** Cumberworth was one of many French sculptors employed by British Parian makers. 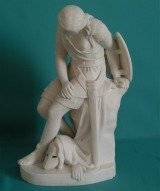 A Minton Parian figure of Clorinda, after a model by John Bell, the figure of pagan warrior seated in half armor on draped rock, wearing a shield, gloves and helmet at her feet. 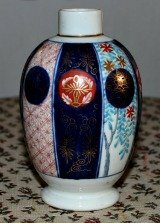 Dimensions: 33.5cm high. Condition: two small chips. 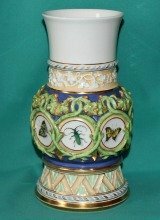 Marks: John Bell, february 1848, Minton impressed. 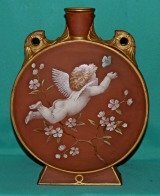 * This model was intended to be pair to Dorothea, No 189. 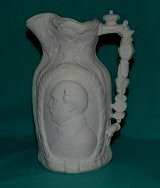 A 19th Century Commemorative Parian Jug c.1862 by Old Hall Earthenware Company Ltd (formerly Charles Meigh & Son) of Hanley, moulded in relief to commemorate the death of Prince Albert, with ornate handle topped by a crown and emblems of orders he held surround the neck. The bust of the Prince Consort is in one cartouche while his coat of arms is in the other. 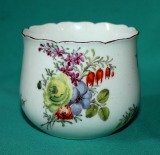 Dimensions: 24 cm high. Condition: A small restored chip on the rim. Marks: moulded diamond registration mark to base and the maker's initials OHECL. 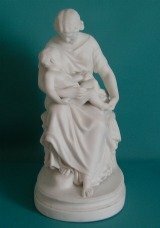 An English Parian Figure c. 1860, modelled as a seated lady with the infant cupid at her knee on oval base. 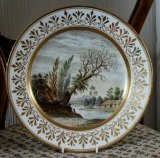 Dimensions: 29.5 cm. Condition: a firing crack on the base. Unmarked.